Here’s an update about what we have been up to for the last 2 months. After we launched our new website and blog, we are finally ready to put our focus back onto what we love doing most: continuing to improve our service and building our ideas for 2017. First, we cleaned up and organized our back-end system. As experienced developers, we are aware that this is an important element in order to ensure that our program remains stable as we implement new features. Now that things are cleaned up, we began building a completely new administrative tool. 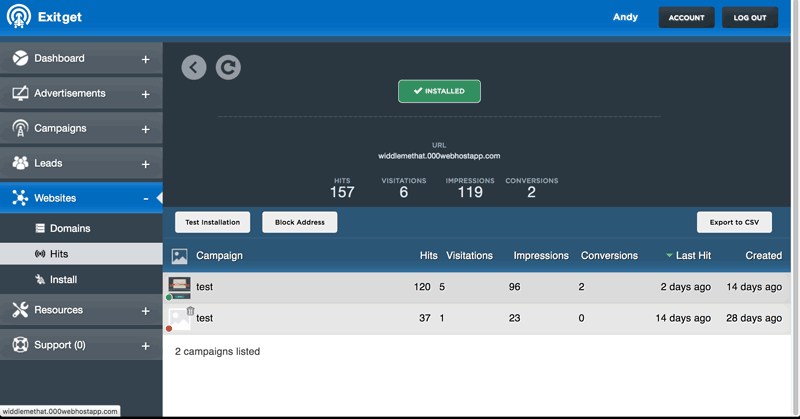 It helps you keep track of every single domain / URL that loads from your campaigns, as well as showing each website’s statistics. Additionally, you will be able to easily export these statistics from your Exitget account for any other software you may be using. One of the coolest features that this update will include is a spider testing system. You can use this for testing your installations across your various websites. By initiating this feature, Exitget will run all throughout your websites and verify if your installation is properly setup. It can also be targeted spider all the pages found under or a specific URL. 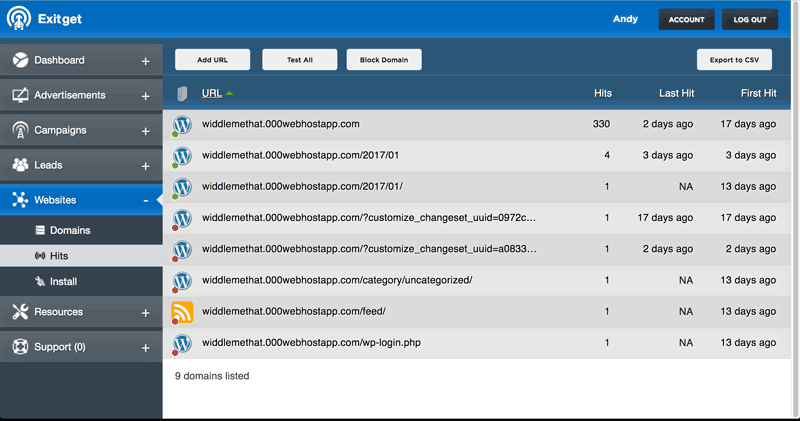 In addition, it can also detect which service you are currently using on your site (i.e. Shopify or Wordpress); by doing so, Exitget will focus down and specifically present instructions on how to install Exitget in these precise setups. This new feature will bring a lot more clarity to our service, therefore helping you have a much better idea of what’s going on in the background. Next, we plan to concentrate on creating more support/help resources and information, as well as adding some absolutely amazing new exit intent features. We also aim to build an advertisement designer tool that can aid users in designing their ads right inside our system. These new additions to our product will lift our service to a level that no other service has ever reached. Please subscribe to stay tuned for our forthcoming upgrades that will be rocking the Exit Intent industry.